AdvancedSteam System: steam for professionals. Leave nothing to chance when it comes to ironing. You can rely on our innovative AdvancedSteam System with an optimal and powerful steam output rate. It allows a targeted distribution of the steam over the fabric and deeper penetration into the fabric. How? Using a refined system and the interaction of steam channels, outlet wholes and guides. 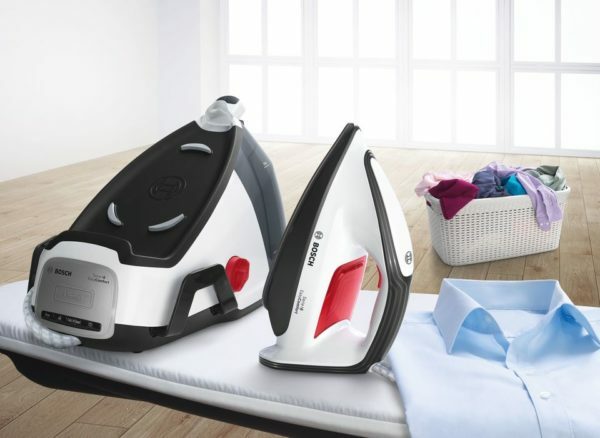 This targeted steam makes ironing easier and also brings you to your goal faster: a pile of ironed laundry. The transportation and storage of steam stations can be difficult. 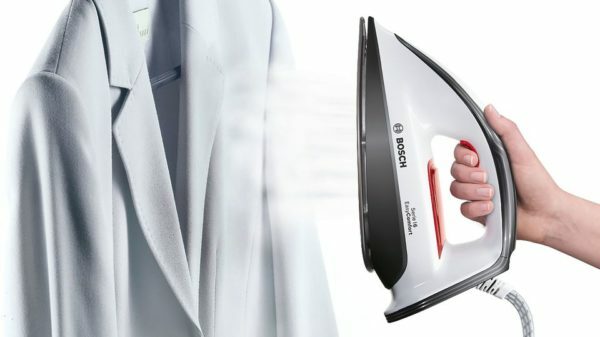 This is not the case with Bosch steam stations with SecureLock: Thanks to a convenient attachment, the steam station is always safely fixed to the ironing board and the iron cannot fall down. 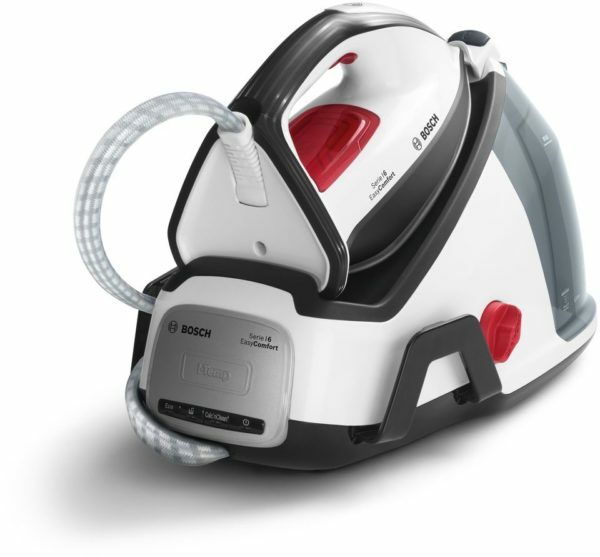 In addition, the steam station can be conveniently and safely transported and stored on the handle of the iron. Nothing can wobble, fall or tip over! With Bosch, the safety of our appliances is extremely important and is ideally combined with a further convenient feature. One example of this is Secure, the clever auto shut-off. This function ensures safety and also saves energy because the iron switches off when it is left or is not used for a long time. To be precise, the iron switches off after 30 seconds when horizontal or after 8 minutes when standing on its base in a vertical position. This is a very convenient, safe and modern function that ensures worry-free ironing. PermanentRefill: always ready for use. 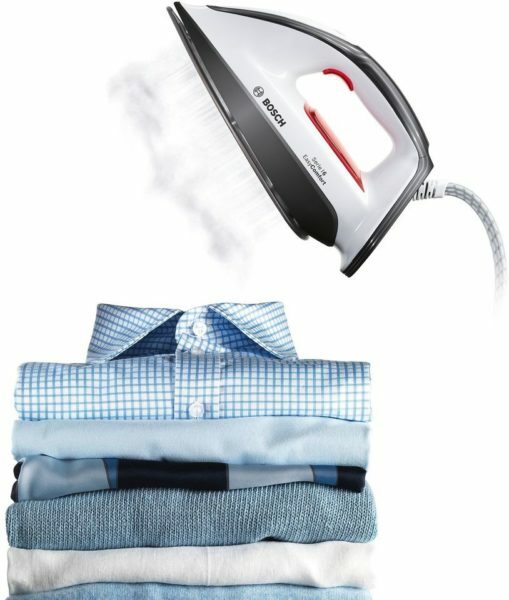 With PermanentRefill, you can iron non-stop. This is because the steam station remains ready for use even if you have to fill the water tank. TempOK: easy selection of the desired temperature. When being ironed, some fabrics require more heat and some require less. That’s not a problem. TempOK is an indicator that reliably tells you when the desired temperature has been reached. The display will flash while the appliance is still heating up or cooling down, until it reaches the choosen temperature. Although you can still iron, you have not yet attained the right temperature level. As soon as the selected temperature setting is reached, the display will light up continuously. 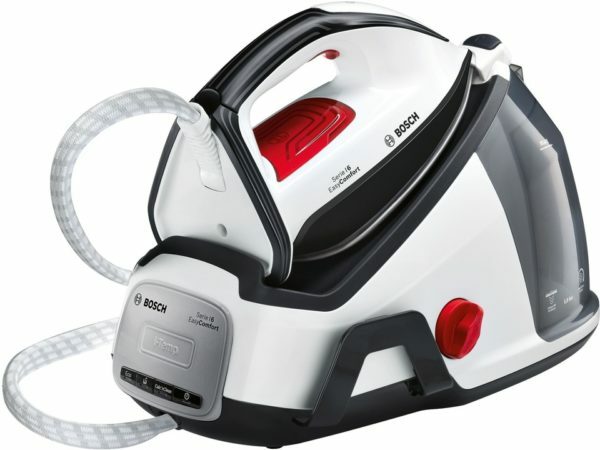 A good prerequisite for rapid heating of both steam stations and steam irons is between 2400 and 2500 watts of power. Calc’nClean Perfect. Doubly effective for lasting performance. 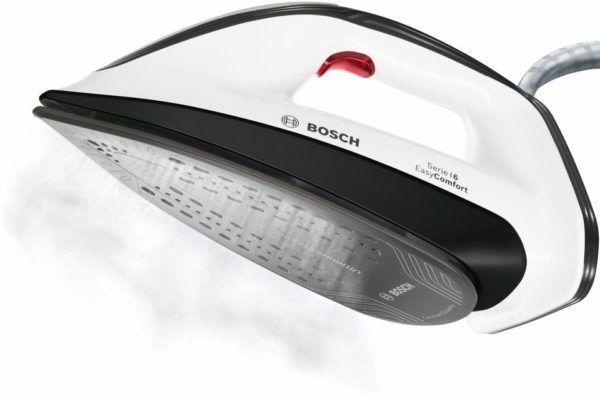 The first cleaning system that removes damaging limescale from both the iron and the steam station. The special cleaning program removes limescale and particles of dirt from the iron and rinses it out. A limescale collector in the steam station’s water tank collects all the limescale that forms in the tank. 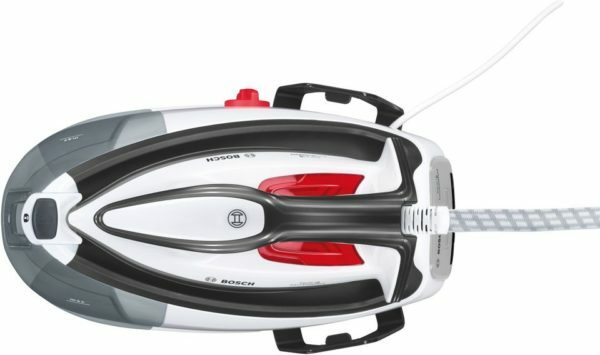 The practical Calc’nClean Timer function reminds you when the next cleaning operation is due.